I had a couple of people round for a catch up (over drinks of course). I was trying to think of something quick and I easy I could feed them between martini drinking when I came across some beef mince on special offer at the supermarket. I bought a kilogram and decided to make yakitori, a type of Japanese skewer kebab, inspired by izakaya/yakitori-bar type food. 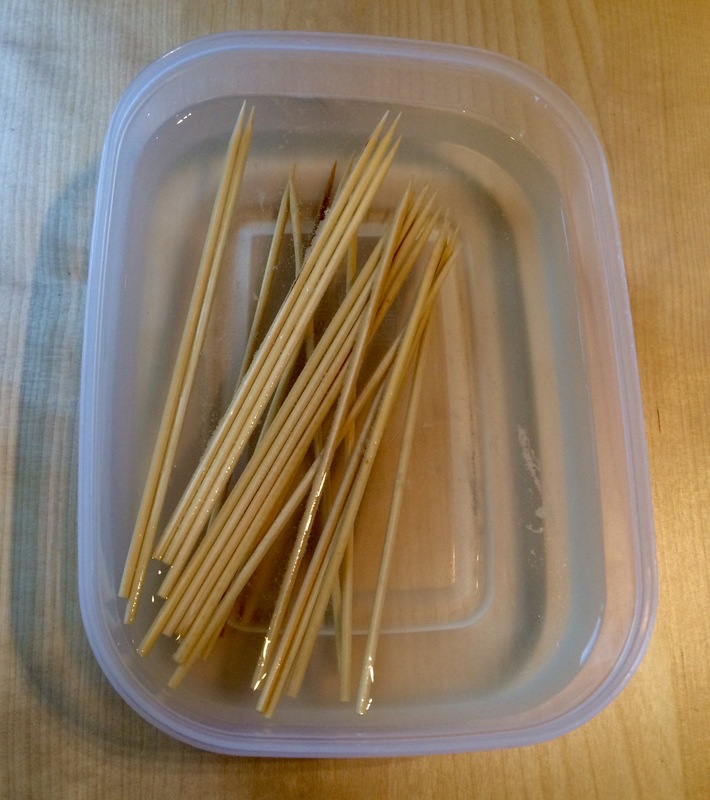 Soak several bamboo skewers in water overnight. Peel and finely chop a thumb-sized piece of ginger and add it to a large bowl. Finely chop 8 spring onions and add them to the bowl. I added a splodge of garlic paste. I then added 4 eggs and stirred them lightly with a fork to break them up. I then added a tablespoon of plain flour and a teaspoon of cornflour. Next, I tipped in the mince and mixed it all up with my hands. This is both a hugely satisfying task but also horrifically messy. Thoroughly wash your hands both before and after. 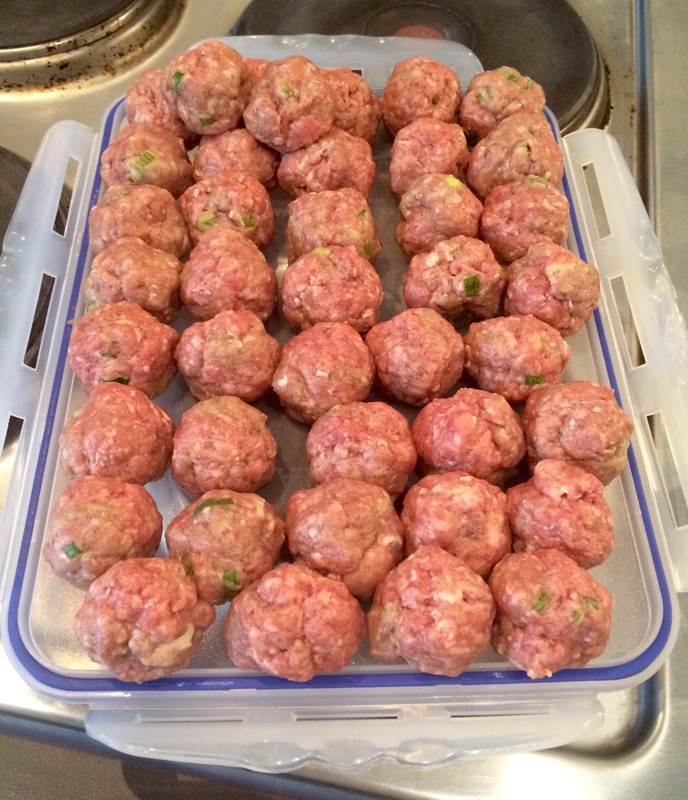 I made the mince mixture into little balls, around 3.5cm in diameter. I then threaded them onto the bamboo skewers. 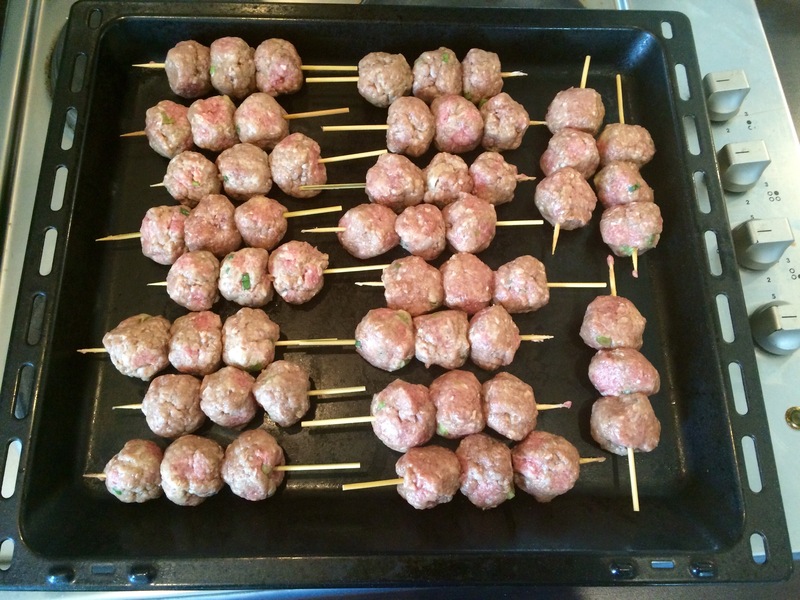 I put three on each but this will depend on the size of your skewers. Stir in the ingredients in a bowl then microwave for 20 seconds. I then put the grill on 200 degrees C and threw in the yakitori for about 8 minutes. 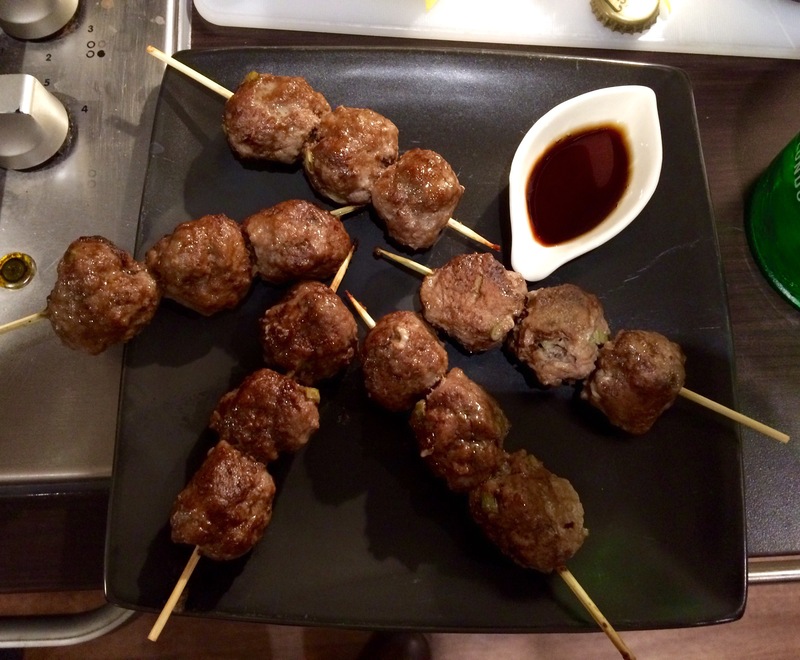 Remove the yakitori from the grill. 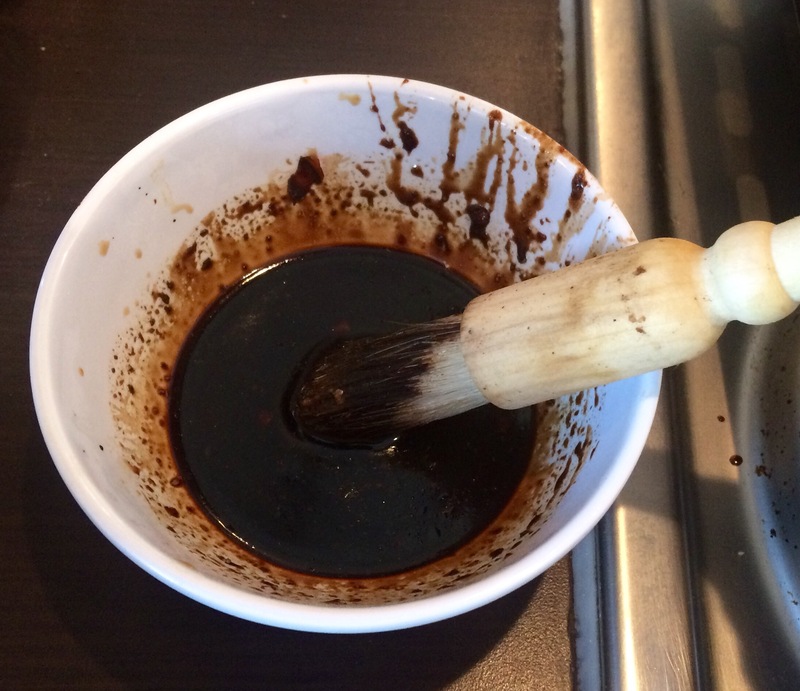 Use a pastry brush to coat the top layer with the glaze. 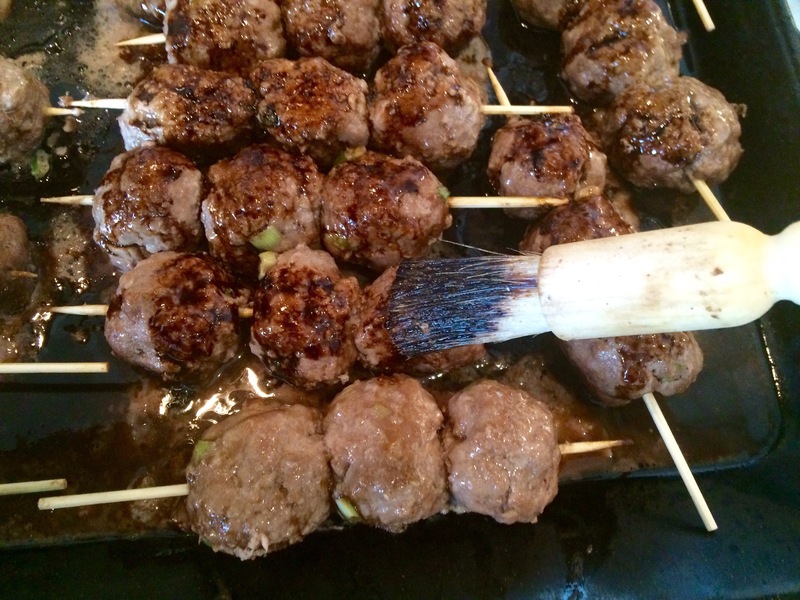 Gently turn the yakitori over so that the less-cooked side is facing upwards. Coat the newly exposed sides and put back into the oven for about 8 more minutes or until thoroughly cooked. I served them immediately with a simple dipping sauce (2 parts soy sauce 1 part rice vinegar). You can sprinkle over some more chopped spring onions if you can be bothered. It adds a nice contrasting colour. Otherwise best consumed when tipsy. It would go particularly nicely with a Pickled Ginger Martini.